Why is music significant in life and education? What shall we teach? How? To whom? Where and when? 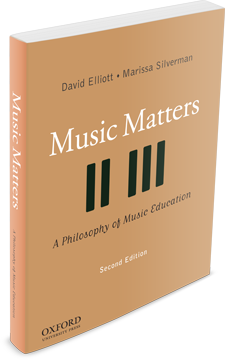 The praxial philosophy espoused in Music Matters: A Philosophy of Music Education offers an integrated sociocultural, artistic, participatory, and ethics-based concept of the natures and values of musics, education, musicing and listening, community music, musical understanding, musical emotions, creativity, and more. Embodied-enactive concepts of action, perception, and personhood weave through the book's proposals. Practical principles for curriculum and instruction emerge from the authors' praxial themes.